When even Justin Trudeau seems willing to abandon you by the wayside, you know you’re in trouble. Yet somehow the Trans Pacific Partnership trade deal has come lurching back from the dead – and as predicted in this column last week, the member countries gathered in Vietnam have announced a deal in broad principle, shunted aside until a later date the stuff on which they don’t agree, and declared victory. Additionally, and even after the still-problematic bits have been ironed out, what is the run-in time envisaged before the new version take effect? Reportedly, some 20 clauses in the original deal (eleven of them affecting intellectual property rights) have been “frozen” until such time as the US may re-enter the deal. Given Donald Trump’s current attitude, this will have to be under a different President. So… what have been the main changes between the TPP deal that the Key/English government bequeathed to the Ardern administration, and what we’re now facing. Foreign-owned housing. Despite the previous government claiming for years that it couldn’t be done, the new government has – within a fortnight – found a mechanism within our domestic legislation ( its in the Overseas Investment Act) to ban foreigners from buying existing homes here. That’s good. We were lied to, previously. Investor State Dispute Settlement (ISDS) These dispute resolution measures enable firms to sue government for passing laws that impinge on the real or expected profits from investment. The goal of removing all trace of ISDS measures from the TPP deal was always something that late-comers like PM Jacinda Ardern and Trade Minister David Parker were unlikely to achieve. Yet if we couldn’t remove ISDS measures entirely, what we could do was make it harder for foreign firms to access them. The Ardern/Parker aim in Vietnam has been to severely restrict the conditions under which foreign firms could trigger ISDS measures, and Parker took at least three different routes to that goal. Firstly, and as mentioned by Werewolf last week, there are no ISDS measures within the existing NZ/Australia investment protocol, and in the Australia /Japan and Australia/US FTA deals. So the side agreement with Australia on financial services that Parker has just announced in Vietnam – whereby ISDS measures won’t apply to 80% of foreign investment to this country – may be just the status quo on steroids. To repeat: Australian foreign investment here was already exempted from ISDS arbitration. Parker also claims to have in train (but has not yet concluded) similar bilateral ISDS exemptions with other TPP members. Other restrictions on ISDS include: foreign firms that have been excluded by the Overseas Investment Office from participating in bids will not, in future, be able to appeal to ISDS arbitration in order to win inclusion in contract bids. This is entirely in accord with the final “gain” made by Parker in Da Nang that puts extra pressure on aggrieved foreign investors to seek redress in domestic courts before dashing off to ISDS arbitration panels. In particular, this will affect any foreign firm with a government contract here ; they will not enjoy access to ISDS arbitration, but will have to rely on domestic courts. As yet is unclear whether access to ISDS measures is ruled out forever and entirely; or whether these measures can be triggered only after all domestic legal avenues have been exhausted. Presumably, these rules will have to cut both ways. Meaning: New Zealand investors offshore will similarly need to exhaust local courts in the countries concerned before they can appeal to ISDS panels. Moreover, aggrieved investors will not be able to hedge their bets, and mount access to domestic courts and to ISDS panels simultaneously. On balance, this development is a good thing. There was always a tinge of racism in the assumption that while New Zealand courts are reliably free from political or monetary influence, those foreign judges just can’t be trusted. As mentioned, all the US-inspired IP changes foisted on the TPP about the terms and conditions of copyright (and penalty regimes) have now been frozen. These IP measures would have cost this country an estimated $50 million a year directly, and would have had a chilling impact on innovation. Copyright will now revert to being for the life of the author plus 50 years, and not for the ‘life plus 70 years’ duration that the likes of Disney were pressuring the US trade negotiators to deliver. Also frozen: the requirements on Pharmac to expose its administrative decisions and procedures to legal challenge by US pharmaceutical companies. Looking further ahead, ISDS measures look like a thing of the past. Even the US wants to dump them from NAFTA, and they’ve been set aside in the recent EU/Japan deal, and the EU/Canada deal – because the parties involved couldn’t agree to include them. As this column has pointed out several times before, the EU wants to scrap ISDS arbitration panels, and replace them with a standing Investment Court that offers more in the way of judicial independence, plus better rules of evidence, disclosure and appeal rights. When New Zealand proceeds with its planned bilateral trade deal with the EU, it will be asked to scrap ISDS entirely and sign up to the Investment Court. That’s the route the Ardern government should be taking – if it isn’t going to simply insist that foreign investors will have to rely on our own local courts for redress, take it or leave it. After all, if firms feel nervous about that prospect, they always have the option (as the US Trade Representative Robert Lighthizer recently said) of taking out insurance against confiscation. In sum, ordinary citizens shouldn’t have to forego rights, pay penalties and accept restrictions on the ability of the governments they elect to pass laws, simply in order to give certainty to investors, here and abroad. 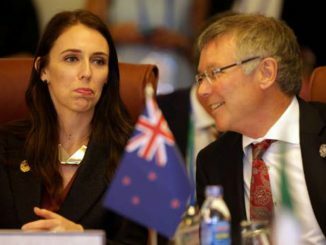 The Ardern government needs to make the case for scrapping ISDS measures in those terms – and not just try to restrict their influence and impact. The new government is consulting on how best to proceed in scrapping the infamous Hobbit law. This is the 2010 measure that excludes workers in the local film industry from enjoying the normal rights to collective bargaining and workplace protections that are available not only to other New Zealand workers, but to workers in the film industry overseas. Elsewhere, union representatives and Hollywood studios regularly sit down to hammer out collective agreements. Only here is that activity seen to be demonic. Presumably, one thing that will see daylight in this review process will be the legal opinion that former Attorney-General Chris Finlayson relied upon – and which the Key/English government subsequently refused to release, despite any number of OIA requests. This opinion was the figleaf that the previous government relied on to claim that collective bargaining with contractors would be illegal under the Commerce Act. It will be fascinating to see how robust that argument will prove to have been. Not much. Otherwise, the previous government wouldn’t have hidden it from daylight for so long. Chances are, the revelation of the contents of the legal opinion will further vindicate the late CTU leader Helen Kelly. Every other belatedly released document has. In 2011, Kelly set out the timetable for the events that triggered the Hobbit legislation. Whatever form that agreement took would need clearly to be in line with NZ law. If performers were to be employed as employees, this could take the form of a collective employment agreement and if they were to be employed as independent contractors then the agreement could be on a minimum standard contract which would be offered to performers for negotiation. These emails show that all parties to the negotiations were aware that the do not work notice had been lifted two days before Sir Peter went public and that the unions and Warners were in the process of drafting agreed press releases to announce it. The emails also show the union had agreed to hold its release until Warners was ready. This is made clear from the email sent by senior Warners executive, Stephen Carroll on the 18th of October. That crucial email can be accessed here. A small organisation with limited resources and a vulnerable workforce, sought to enjoy what other workers in their industry enjoy worldwide – the international right to collectively bargain. A major international corporation combined with a powerful NZ film company, and an anti- worker Government, to ensure there would not be union bargaining in the growing NZ film industry. In [the end] a deal was struck without basis and against our international legal obligations, that removed even the most basic of work rights from the entire workforce (minimum wage protections, Holidays Act, protection from unfair dismissal). The Government and others lied to the people of New Zealand in an effort to retain the perception of a crisis in order to gain legitimacy for its actions. It was a shameful moment in New Zealand’s political history. Hopefully, the full details of this ‘shameful’ episode will now emerge. In 2010, we saw a Supreme Court ruling effectively overturned, our employment laws gratuitously changed and $30 million extra in subsidies dished out to a foreign company – and people up and down the country were lied to by those who knew the dispute had already been settled, and well before anti-union (and anti-Australian) sentiment got whipped into a frenzy. In reality, Hollywood studios deal with collective bargaining all the time. The deciding factor about a location is the extent of tax incentives on offer. These incentives and grants remain for projects like the Avatar sequels and Mortal Engines alike. What will need to be sorted out by the new government are the tax write-off provisions for “contractors” once they become legally recognised as “employees.” It will be important to ensure that these workers are properly compensated for the costs they currently shoulder as contractors, while and after they make the transition. That difficulty however, pales in comparison to the problems inherent in the status quo – whereby one of our leading digital industries of the 21st century continues to labour under 19th century work conditions. Since the TPP seems an endless road…what better song to celebrate the lonesome endurance involved than this number from the TV series Bonanza, sung in a bracingly bromancing fashion by Pernell Roberts and Hoyt Axton. This “Endless Road” song was written by Axton’s mother, Moe Boren Axton, who also wrote Elvis Presley’s smash hit “Heartbreak Hotel”. Angel Olsen has included a cover of this song in her recently released album of rarities and B-sides. Apparently, she came across it while watching Bonanza re-runs with her mother.